When communication is needed most. Whether a hurricane, tornado, derecho, flooding or other natural disasters licensed radio operators are there to help. 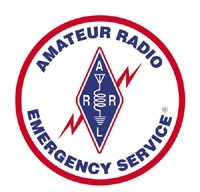 The Amateur Radio Emergency Service (ARES) consists of Amateur Radio licensees who have voluntarily registered their qualifications and equipment for communications duty in the public service when disaster strikes. Every licensed amateur, regardless of membership in ARRL or any other local or national organization, is eligible to apply for membership in ARES. Training may be required or desired to participate fully in ARES. The local ARES Emergency Coordinator can provide specifics. Because ARES is an Amateur Radio program, only licensed radio amateurs are eligible for membership. Use the form below to contact us. Please be as detailed as possible so that we can help you best. We’re always looking for new and exceptional talent to lead and assist in our ARES efforts. We'd love to have you on our ARES team so if you are interested in this please let us know in this form. Thank you for your information. We will get with you as soon as possible.